Infociments.fr look like a new website ! Completely redesigned and revamped, the reference platform of the cement industry started the New Year with new features and enriched content for a wider audience. Launched by the professional organizations of the cement industry, since 2004 Infociments.fr has been a reference information platform dedicated to the knowledge of cement and its various applications, in particular concrete. The new interface is part of a sober and uncluttered graphic line that gives pride to large format visuals. Adapted to mobile, mobile or tablet consultation, the new platform offers renewed, expanded and enhanced content. It brings together the institutional and technical information of the sector and makes them easily accessible, whether you are an engineer, technician, craftsman, architect, student, teacher, journalist or public decision-maker. Better protect grain stored in the silos against pests, this is what Boge offers with BlueProtect. This solution consists in injecting into the grain silos a gaseous mixture of almost pure nitrogen with a maximum of 1% of residual oxygen. Nitrogen then takes the place of oxygen and thus deprives the pests and oxygen-dependent fungi of their livelihoods. At the same time, the amount of breathing losses is decreasing, as is the risk of smoldering fire. For its BlueProtect solution, Boge uses nitrogen from the ambient air. Near the silo, a compressor generates compressed air. This air passes through a dryer and a combined filter to a membrane filter that separates the nitrogen (N2) from the oxygen (O2) before conducting it into the silo. BlueProtect is therefore an effective pest control method for all sectors where the use of chemical agents is not allowed or desired, for example in organic farming or in the breweries. Boge has all the components of the plant in a single container so that BlueProtect can be used flexibly in space, with no special prior knowledge and different types of silos. In order to determine nitrogen requirements in advance, the supplier analyzes the initial situation with the manufacturer. The presence of a sufficiently dense silo is a basic prerequisite. 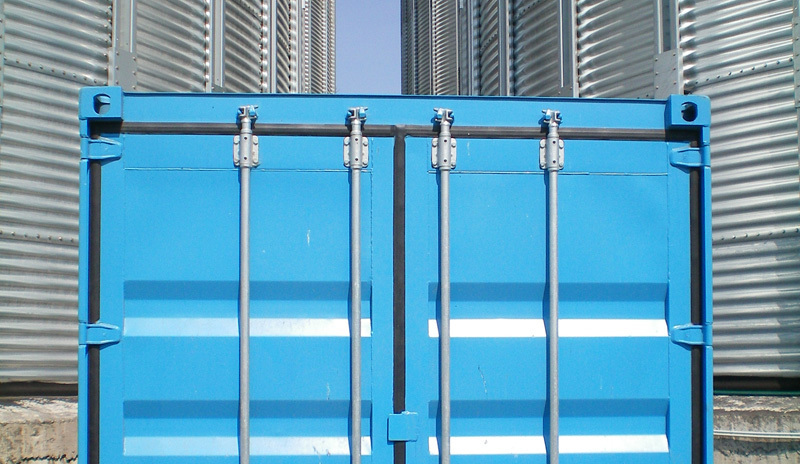 To test the solution, Boge provides a rental container on demand to clearly determine the tightness of the silo after a few days. 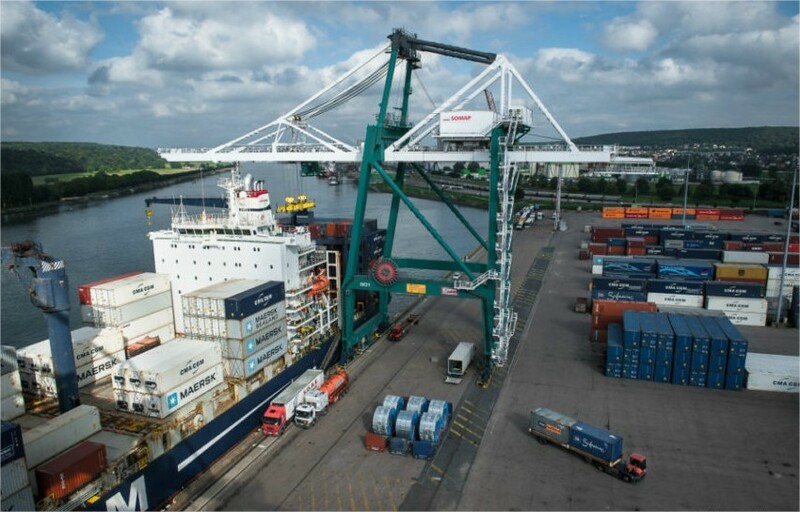 Built in Germany, 3 new high-performance loading gantry cranes have been received by Senalia at its Grand-Couronne terminal, which confirms its status as the 1st grain terminal of the Grand Port maritime of Rouen. Built in 1971, the Grand-Couronne grain terminal has processed more than 70 Mt of grain since its creation. But taking advantage of the deepening program of the channel of the Seine which is coming to an end, the Senalia cooperative group, main loader of the port, and the Grand Port maritime of Rouen (GPMR) wanted to consolidate it in its ranking of the most powerful terminal of the sector. The GPMR first invested € 9 million in strengthening the docking front and docks, building a structure to accommodate new tools and deepening the soil. The new berth will accommodate bulk carriers up to 260 m long and 46 m wide, with drafts up to 12 m. "This will load Panamax or Overpanamax up to 60,000 t and avoid the second loading sites," said Manuel Gaborieau, trade commissioner for the grain and agro-industries Haropa-Port of Rouen. For the Senalia cooperative group, the addition for the modernization of the Grand-Couronne site amounted to approximately € 11.5 million. With safety work, the replacement of automated systems and conveyor systems of grain from the chains to the conveyor belts, the installation of dust collection systems and especially the construction of the 3 new new generation gantries. 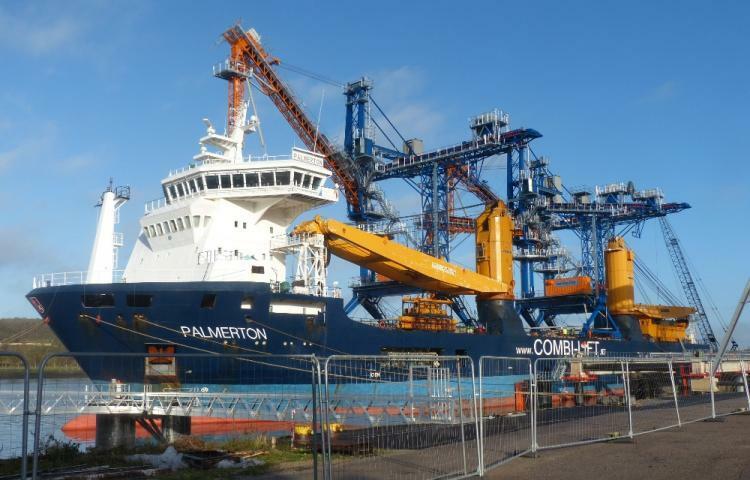 Built by the German company Neuero, one of the world's leading specialists, they were transported from Rostock to Rouen aboard the Palmerton, a heavy-lift unit of the Dutch company Combi-Lift. With a unit weight of 250 t, they were unloaded and mounted on rail using two Liebherr cranes with a unit capacity of 250 t. The very complex operation was scheduled for December 17, 2018, over two or three days. "They are capable of loading 1,000 t / h each, like their predecessors. But they offer the advantage of rail travel over a length of 340 m and are equipped with an anti-dust system called "by accumulation" "says Matthieu Calais, technical director at Senalia. Liquides Magazine : The comeback ! After 4 years of absence, it's time for the little brother of Infovrac to make its come back ! It is therefore with great pleasure that the RPI team announces the return of Liquides Magazine. At first, it's a unique edition that will be published in June 2019 in order to offer you the best content and reconnect. For more comfort, your interlocutors will remain the same as on Infovrac, Aude Moutarlier for the editorial aspect and Stéphanie for advertising. You will find 6 sections: Liquid news (for a concentrate of news), handling, processing, storage, transport and equipment. XPO Logistics, one of the world's leading suppliers of transport and logistics solutions, has been awarded a new contract that extends the company's management of its transport operations in France for Toyota Material Handling, a global specialist in handling equipment and automated solutions. XPO has, in fact, developed a customized solution for Toyota Material Handling France, giving it global visibility on all transport operations, tracking and management of returns thanks to innovative technology. XPO's technology specialists have designed a mobile application specifically for Toyota, with full network integration and quality control features. 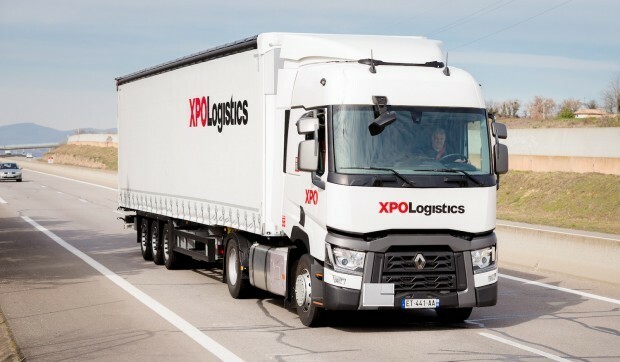 This contract is an extension of the current partnership between the two companies, under which XPO manages the loading and unloading on the Toyota sites of Bussy-Saint-Georges, in Île-de-France, Dagneux, Auvergne- Rhône-Alpes, and Nantes, as well as delivery to customers throughout the country. "With XPO, we found the right logistics partner to carry out our operations and support our growth. We are impressed by XPO's commitment to systematically look for ways to improve efficiency, traceability and competitiveness, "explained Éric Loustau, Supply Chain Director for Toyota Material Handling France. "We are proud to help Toyota Material Handling expand its service portfolio in France, including its new short-term rental service. Our team is excited to take on these new responsibilities, while ensuring a smooth delivery, "added Luis Gomez, Transport General Manager of XPO Logistics Europe. Chryso, one of the world's leading specialists in building materials chemistry, and provider of innovative value-added solutions for the construction industry, has announced the acquisition of Euromodal. A Portuguese family company created in 1986, Euromodal manufactures a wide range of chemical products for construction in its new automated factory located near Porto. Its range of services includes technical support, product formulation and field support. Present in Portugal since 1993, Chryso has supported major infrastructure projects in the country. The company relies on a portfolio of clients including cement manufacturers, concrete producers (ready-mix concrete and prefabrication) and construction companies. "We are delighted to join Euromodal in the group and to work with new talents that will contribute to the development of Chryso. The combination of our activities in Portugal will strengthen our product mix and our presence as a market leader. Local production, a state-of-the-art laboratory and a powerful technical service will serve our customers well. 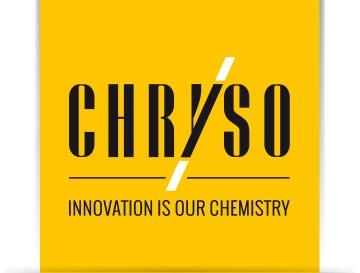 Following the recent acquisitions in Italy and Ireland, this transaction demonstrates our desire to strengthen our positions in countries where customers perceive a real benefit in the use of value-added solutions and the development of differentiating offers, "said Thierry Bernard, president of the Chryso Group, commenting on this acquisition. "We are convinced of the great potential represented by our integration into the Chryso Group, which will enable us to offer our clients a high level of support on their most complex projects", added Francisco Araujo, CEO of Euromodal, who becomes general manager of Chryso in Portugal. Chryso did not wish to communicate on the amount of the transaction. Bruno Pillon, sales and marketing director of Ciments Calcia (HeidelbergCement France group), has been appointed president of the Cimbéton office. 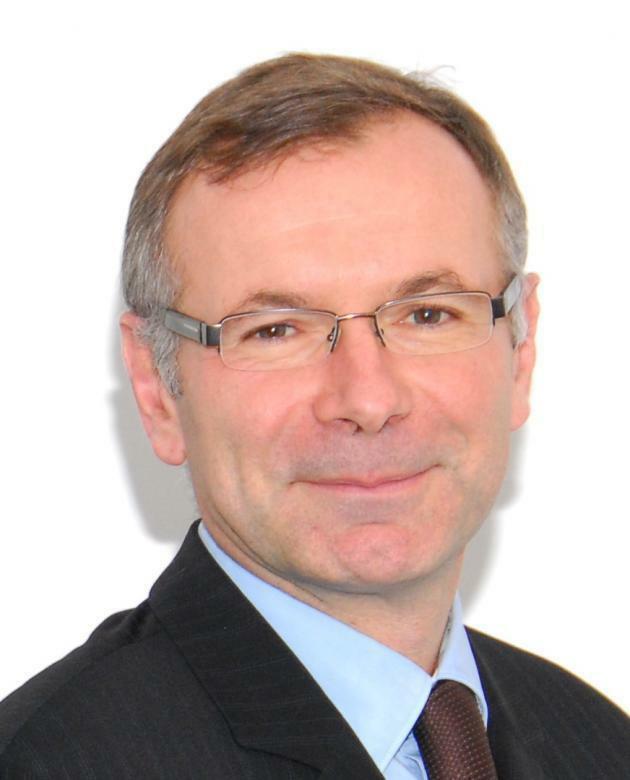 He succeeds Grégoire Douillet, commercial director of the Vicat group. In this role, his mission is to define the strategy of the information center on cement and its applications. After obtaining a degree in engineering from the State School of Public Works and a DESS in foreign trade, from the University Paris-I Panthéon-Sorbonne in 1988, he started his career as a real estate manager at the Ministry of Foreign Affairs and is rapidly moving towards the international construction sector by integrating the general company Glauser International in which he remains nearly 10 years. In early 2001, he created and managed BravoSolution France, a consulting and technology company in supply management. In 2013, he joined the HeidelbergCement France group within Ciments Calcia as Purchasing and Logistics Director, before being appointed, in March 2016, Sales and Marketing Director of Ciments Calcia. In the continuity of his predecessor, Bruno Pillon shares his ambition to "share, know and recognize all the qualities of concrete" to a wide audience, because "beyond the technical and architectural feats unparalleled of this material, concrete is , par excellence, the first material contributing to the improvement of our living environment and to green growth ". Also, in an environmental approach, one of the priorities of the new president is to support professionals in using appropriate solutions to build the city of tomorrow, sustainable and responsible: "Deeply rooted in our territories, concrete allows both to combat the effects of climate change, to save resources and to support the densification of cities while preserving biodiversity. " Haropa (ports of Le Havre, Rouen and Paris) is doing well. The first half of the year is marked by excellent results in sectors with very high stakes. Cumulative seaborne container traffic has set a historic record on Haropa's hinterland (its area of ​​influence and economic attraction), with a total of more than 1 million TEUs (twenty-foot equivalent containers), That is + 1.1% compared to the first half of 2017. This increase is reflected in the growth of maritime container traffic by 12.6% in TEU. The hinterland traffic is the best at the end of June for 5 years. As for the market share of Haropa on the export of wheat and barley produced in France (2017-2018 season), it reached a record level of 50%, with a traffic growth of 75% compared to the previous campaign, generating a 22.5% increase in river traffic in cereals in Île-de-France. All cereals combined, the terminals of the port of Rouen operated 7 Mt during the 2017-2018 campaign, an increase of 75% compared to last year. This figure confirms the competitiveness of the port of Rouen (the leading European grain port), which accounts for nearly 50% of French wheat and barley exports. The new 2018-2019 campaign should confirm this good positioning in terms of market shares. The river traffic of cereals in Île-de-France is growing by 22.5%, mainly in connection with the supply of the port of Rouen. Another notable fact for Haropa: maritime traffic of aggregates, sands and gravel, is increasing dramatically from 55% to 900 000 t: it is driven by the restart of construction in the Paris region and Normandy. In this same sector, river traffic recovered significantly from April to 7.5 Mt, after a start of the year strongly affected by the flood (-2% at the end of June against -16% at the end of March) . 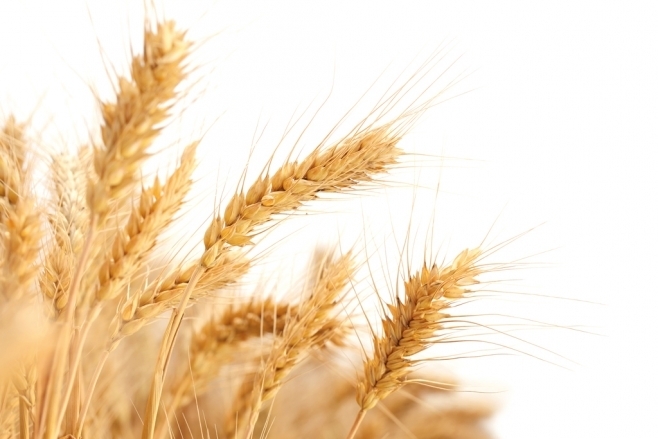 The good news of the new season for grain farmers? The rise of wheat prices which gained 30% between the end of June and the end of August, with levels never reached since April 2014. "No one had envisaged such a rise," said the president of the Association General Producer, Philippe Pinta. "We have been waiting for this for 6 years". At stake, disappointing crops in Germany and Poland, but also in Ukraine or Russia, the two giants of the Black Sea. "For some farmers, price increases are a boon. But for others, the price effect will not offset the volume effect, "warns Eric Thirouin, the deputy secretary general of the FNSEA. In France, the harvest would reach 35 Mt this year, against 36.6 Mt last year and an initial estimate, before the heat wave of this summer, 38 Mt. Fortunately, for grain, quality will be at the rendezvous with a protein level and a specific weight beyond expectations. It will still be necessary to sell it: for the first time in 2017, French wheat has sold more in the European Union than in third countries. The catastrophic harvest of 2016 (28.6 Mt) has deterred many buyers from traditional markets in the southern Mediterranean, at a time when Russia was putting the turbo, both in quantity and quality. Two years after one of the worst harvests in history, French grain farmers have not reached the end of the tunnel yet. The Eureacoop cooperative has just ordered from the I.C.C. project management office, a new 11,000t sheet pile silo on a flat bottom with ventilated return. The assembly of this silo began at the beginning of July 2018 in Savigneux (Loire). It will consist of 14 cells of 20 m height, a 30 m working tower, 3 bushels of loading and 2 receiving pits. Calculation, manufacture and assembly of the silo were entrusted to the company Silos Camail who also ensured the sizing and supply of the ventilation drain. The handling and the dust collection system are provided by the company Stolz, and the civil engineering package, by Eiffage Construction. Commissioning is scheduled for December 2018. 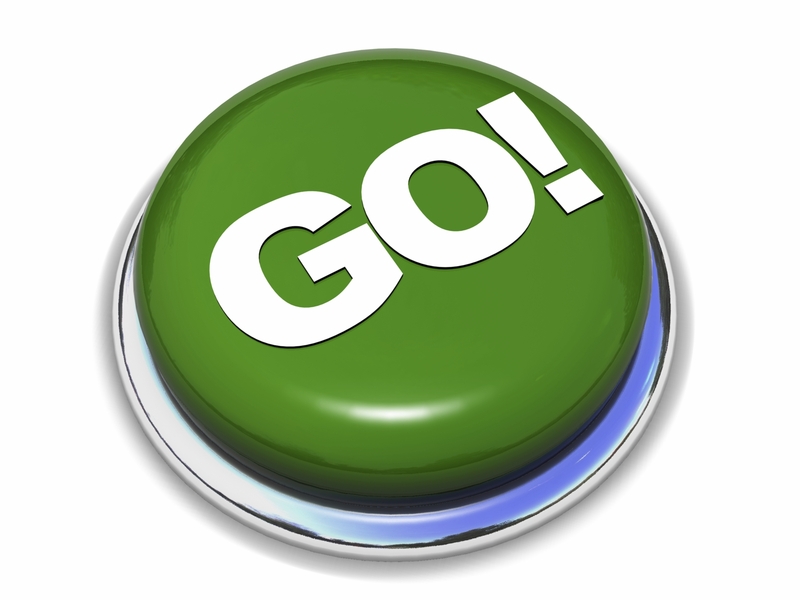 The end of the year is approaching with the launch of Infovrac campaigns for the majority of you. This is an opportunity to reflect on your 2019 media plan and highlight your company in the leading magazine on the bulk sector. 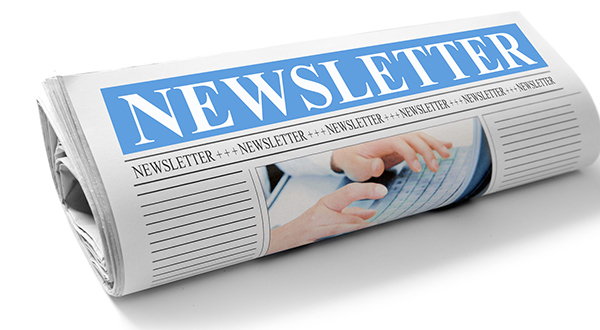 New for the web addict, the Infovrac team launches its newsletter! 6 newsletters for the year associated with each issue and which will be sent to our entire mailing file (nearly 8000 email addresses). Find the different sections of the month's issue, the show agenda and focus on the news. An advertising insert is also available for companies wishing to bet on digital. The succession at the head of Ania should mark a change of presidency on both the form and the substance; but the building sites of the association remain the same. Succeeding Jean-Philippe Girard, who has held two terms, Richard Girardot was elected president of the National Association of Food Industries. This pure Nestlé product marks the return of the big groups at the head of the association after several years when it was led by an SME manager, Eurogerm, in this case. In addition to this difference in entrepreneurial culture, this succession should be marked by a significant change in form. Often with a rougher approach than his predecessor, the new president had already signaled himself by very clear positions vis-à-vis large retailers, not hesitating to take part Michel-Edward Leclerc, probably with the approval of its Swiss parent company. Celebrating 50 years in a few days, Ania still faces the same challenges: combating the growing suspicion of public opinion and media towards agri-food industries, restoring the margins of its companies by rebalancing relations improve the dynamism of SMEs, restore the attractiveness of the sector's trades or, again, boost exports that are insufficiently conquering. There is no doubt that Richard Girardot will not be long in specifying his lines of action and surround himself with a team of members to try to meet these challenges. Note that Ania has just renewed its strategic partnership with AG2R La Mondiale, sign another one with Mérieux Nutrisciences on the analysis of emerging food risks and health crisis management tools and to announce - in concert with Coop de France, FCD, Feef and Greenflex - strengthening the functionality of the Valorise self-assessment platform to simplify CSR exchanges between suppliers and distributors. What effects would a rise in French agricultural prices of 10%? Of the 320 pages of report submitted to Parliament on 19 June, the Observatory of Pricing and Food Margins devoted 319 pages to the analysis of the situation in 2016 and 2017. A single page is risk to the prospective but it is worthy of interest. Because, at the request of the steering committee of the Observatory, it simulates the effect of a 10% increase in domestic agricultural prices on household food expenditure. At a time when the law for the balance of commercial relations in the agricultural and food sector plans to give farmers the power to set their selling prices, this projection brings objective information to the debate. Even if the Observatory wishes to emphasize that this figure of 10% was chosen arbitrarily. Thus, if domestic farm prices increased by 10%, this would mechanically result in a 4.4% increase in the purchase expenditure on domestic food products. Prices for agri-food and beverage products would be up 3.6%. "What result in 2.7% increase in total food expenditure (including food and imported foods), and + 0.5% on total household spending, knowing that food accounts for 20% of household spending" , says the Observatory. This projection does not take into account the effect of the price increase on the volume of demand, but only the mechanical transmissions of this rise along the chain. "To achieve this, we simulate the rise in product prices of each industry that keeps its value added at the initial level. And we consider, moreover, that the rates of taxes and margins of trade and transport remain constant ", comment the editors. Another possible simulation: if the levels of taxes and margins remained constant, and no longer the rates, then the effect on prices would be further amortized: it would be close to + 2%, compared to + 2.7% in the previous scenario with a + 0.4% increase in total household spending. Even as the raising of the resale threshold at a loss of 10% is already fearing a rise in prices and cry wolf consumer associations and the sign E. Leclerc, ball in the lead, such inflation would necessarily debate. Especially since it would be mechanically accompanied by an increase of at least 3% in the tariffs of agri-food manufacturers, without any other effect, moreover. This scenario imagined by the Observatory is obviously totally hypothetical, but it at least has the merit of projecting all actors and observers of the food market in a scenario of improving the living conditions of upstream French producers and farmers. After two successful editions in Le Mans (2016 and 2017), the VRACTECH BULKTECH trade show evolves towards an alternation in Mâcon, in order to facilitate the arrival of national visitors: 25 minutes from Lyon by TGV or 1 hour by car, at 1h40 from Paris by TGV and very accessible from the airports of Geneva and Lyon St Exupéry. This industrial meeting comes back in 2018 to provide an answer to all the problems of daily management of bulk, liquid, solid or powder: reception of raw materials - weighing - dosing - grinding - conveying - bagging - storage - shipping - transport ... 294 Exhibitors in all the know-how, for this new edition of the exhibition of solid and liquid bulk technologies. Once again this year, Infovrac offers a press partnership with Pollutec. 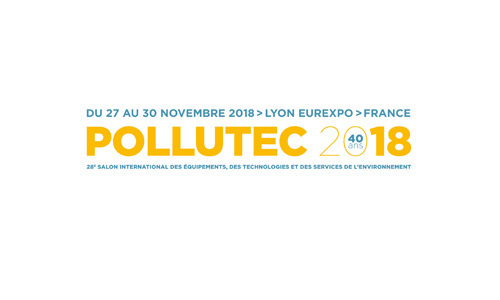 Pollutec, the international exhibition of equipment, technologies and services for the environment and energy will be held in Lyon from 27 to 30 November. Pollutec has been the source of inspiration for 40 years now and the means to easily access solutions, innovations and meetings in these markets. Take advantage of this great opportunity to highlight and boost your communication with more than 2000 copies dispatched on the exhibition. You will find the news, all issues since September 2016, you can now consult the published articles, print them in PDF for your press reviews, apply for an online subscription, consult the editorial program of the year and ask for a media kit. Banner ads are also available for advertisers who want to take a digital way. A directory of suppliers gathering the main actors of the bulk industry is at your disposal ans you can make requests for quotations on line. A single platform for a gain of time. You will finally discover who is hiding behind your magazine, a team that ensures to bring you the best magazine possible.